When thinking about preschool ideas, many parents think they are not creative or intelligent enough to be able to teach their preschoolers what they need to know. Many parents ask what they should use for preschool curriculum. When you think about it, we didn't use a talking curriculum or a potty training curriculum when those skills came up in our children's lives. Parents have taught their children so many things in the few years that they have had them, and all without any curriculum! Many of the skills that preschool children learn, come from natural interactions with their parents. Below are two resources with activity segments that parents can do with their children that will teach them all they need to know in a relaxed, yet high-results method. Many parents like to use workbooks for homeschooling, which are fine to use, but why not enjoy life with your children and interact with them? They say that the more senses children use, the better they retain the material. When parents interact with their children the children tend to remember what they learned and they enjoy learning. Those are both activities parents want their children to do! With these two guides and a library card, parents have all the resources and preschool ideas they need to homeschool their child through preschool. Each book includes quick and simple activities parents can do with their children. The activities cover all subjects from Language Arts, History, Geography, Science, Bible, Art, PE, and more. This is a low-stress high-results method that will give parents everything they need to successfully teach their children all they need to know. 1. Parents should read to their child for 20-30 minutes using great picture books. Check out homeschool social studies and homeschool science for some great ideas. 2. Do one or two of the activities from the preschool guides listed above each day. This will help children learn everything they need to know in all subjects in a fun and interactive way. 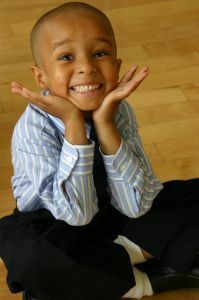 Once your child makes it through the preschool years, you can easily homeschool them for Kindergarten. In Ohio, students don't have to start school until first grade. Parents are allowed to homeschool their children for Kindergarten although no public school administrator would probably ever tell you that. Many parents say that their children don't learn much in public school Kindergarten anyways. What better place for children than with parents who love them? There are many great ideas on how to homeschool Kindergarten that can give parents all the skills and confidence they need to homeschool their child with ease. 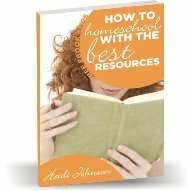 Not sure how to start homeschooling? Just browse around this website and get all your questions answered at homeschool help. I hope these preschool ideas will help you launch your homeschool with success. Feel free to contact me if you have any questions.